All children will be taught the skills and knowledge of Geography as outlined in the programmes of study in the National Curriculum for Geography. Geography is the study of places, skills and themes. We teach geography to develop a sense of place and to encourage an understanding of the world today. Geography is concerned with the study of places, the human and physical processes which shape them and the people who live in them. 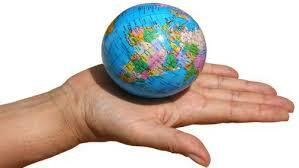 In Key Stage 1, children will develop their knowledge of the world, the United Kingdom and their locality. They will gain locational knowledge, place knowledge and study Human and Physical Geography, whilst developing Geographical skills and fieldwork. In Key Stage 2, this will extend to knowledge beyond the local area, to Europe, North and South America. They will deepen and extend their knowledge through, for example, understanding key aspects of climate zones, biomes and vegitation belts and examining economic activity.